Hebrew University scientists’ research yields good first results. Two Israeli scientists believe they have discovered a way to destroy cells infected with the HIV virus and have announced their plan to begin clinical trials on human beings within three months. The illness was first observed in carriers in 1981​– the virus enters a person’s blood cells and remains dormant. Modern medicine still cannot determine what causes the virus' awakening process or when it will duplicate itself to other cells. Currently, HIV carriers treat the virus through a drug cocktail which delays the virus' processes from spreading. As a result, AIDS has downgraded from a fatal epidemic into a chronic disease. According to a Ynet report, Prof. Abraham Loyter and Prof. Assaf Friedler of the Hebrew University in Jerusalem believe they have made a breakthrough and found a method that will kill the infected cell without harming the entire body, thereby curing the HIV carrier. Following successful research, the Zyon Pharmaceutical Company signed an exclusive agreement with the university to develop a medication. The professors developed peptides (short chains of amino acid monomers) which cause many copies of the HIV virus' DNA to enter the cell, instead of the usual one copy, leading to an activation of the cell's self-destruction mechanisms. 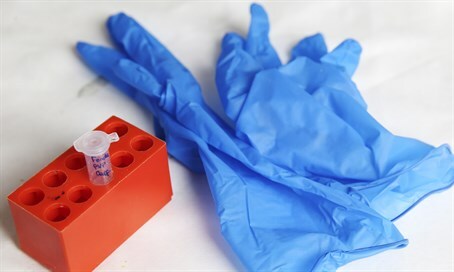 According the report, initial tests on cultures of human cells infected with the HIV virus were promising: Within two weeks of treatment, there was no sign of the virus DNA or infected cells, and the virus was undetectable even two weeks after the end of the treatment. The researchers' concluded that not only can the virus infection be stopped, but that the infected cells can be destroyed too. Loyter and Friedler's discoveries were published in the AIDS Research and Therapy Journal, but the scientific community has expressed their hesitations claiming the results are not a significant development. However, 50-year-old Patrick Levy, who not only served as the first executive director of the Israel AIDS Task Force but has also been an HIV carrier for 28 years now, is optimistic.